A continuity test is a simple way of checking whether a circuit is open or closed, and it can help you identify a bad switch or outlet, as well as assist you in identifying wires in electrical boxes. Unlike a voltage or current test, a continuity test is done with the power off -- the tester supplies the current you need to conduct the test. You can test continuity with a multimeter or a dedicated continuity tester, which is a simple device with two leads, a battery and a light. To determine continuity, set your multimeter to measure ohms of resistance. When checking for continuity, you determine whether or not electricity can pass between two given points in an electric conductor. A continuity tester has two leads connected to a small battery, and when you touch the leads together to complete the circuit, the meter should register 0 resistance or -- if you have a dedicated continuity tester -- the light should come on. 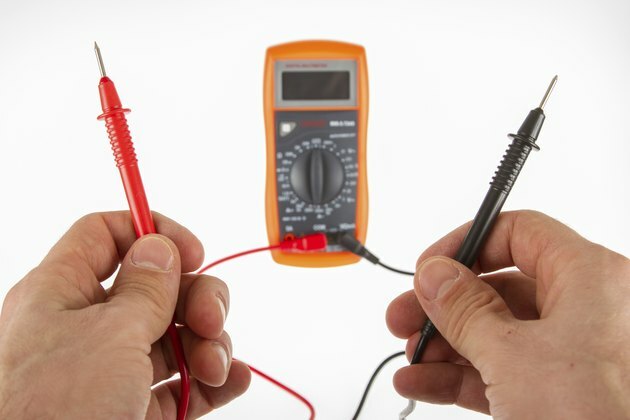 If you're using a digital multimeter, the device may also beep. Testing for continuity is an easy and reliable way to determine whether a switch or outlet has internal damage. If you're using a multimeter, set it to the "Continuity" function, or select a midrange resistance setting, in ohms. The power needs to be off when testing continuity. Verify that no electricity is flowing by using a noncontact circuit tester. Check the tester by putting the leads together and ensuring that the device lights up, beeps or registers 0 ohms of resistance. Touch one lead on one of the hot terminals of the device, identified by a brass screw. Place the other lead on any other terminal except the green ground terminal. If the tester lights up, beeps or shows 0 resistance, it means that electricity can flow freely between those terminals, and in most cases, that means that the device is good. If the device is a switch, the tester should go off and on when you flip the switch. You can use this technique to check appliance switches, thermostats and fuses. Be sure the power is off, then touch the leads to the terminals of the device in question. When you're doing electrical wiring, it's easy to lose track of the wires, and a continuity tester can help determine which wire goes to the switch or outlet in a nearby box. 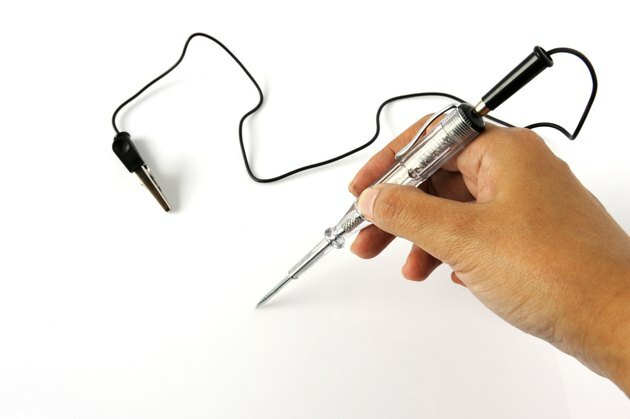 Connect a test wire to the wire you need to identify by twisting the ends together. Use a wire long enough to reach the other electrical box. Clamp one of the leads of the tester to test wire. Probe the other wires in the box with the other lead. When you find the right wire, the circuit will close and the tester will light up or beep.